Tilted Sun is an indie comic that is written, drawn, and lettered by me, Becky Jewell. 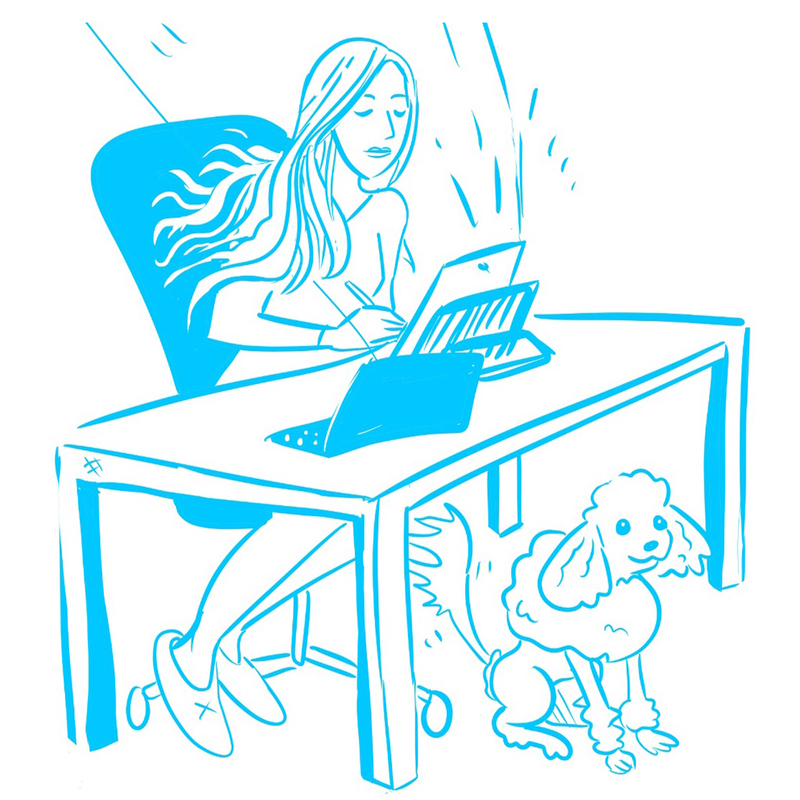 Here I am making comics with my beloved poodle, Geddy. Geddy and I are doing our best every day to make rad comics! We'd love your support. Tilted Sun is free to read online. To support Tilted Sun, please consider clicking the button below to donate. Or, donate on Patreon, get cool rewards!